The proof is in the punch! Unless otherwise noted, all of the costs were calculated using FreshDirect, so they will vary depending on your location. 1. Strawberry Rosé Punch that, with a few minutes of prep at home, would be easy to mix up at your friend's birthday party. Simple syrup - free, if you make your own. Get the recipe from Sugar and Soul. 2. Gingery Bud Light Lime Punch that's so refreshing even your beer snob friends won't believe you when you tell them what's in it. Make it the way the recipe says and you'll only use two cans of ginger beer and one BLL; to make it stronger, add more of each of those in a 2:1 ratio, but keep the lemonade the same. Get the recipe on The Cookie Rookie. 3. 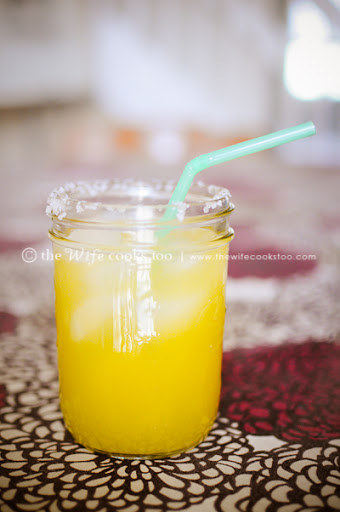 Pineapple Rum Punch that'll put you in a ~vacation mindset~, even if you're chilling in your backyard. To make a second batch, splurge on an extra bottle of prosecco! Get the recipe on Crazy for Crust. 4. Simple Gin Punch, for a weekend trip with foodie friends who "just don't enjoy" tropical cocktails. I don't believe them either, but whatever — this citrusy blend holds its own against any rum concoction. You'll have just enough ingredients for two batches. Get the full recipe on Distillerista. 5. Vodka-optional Cucumber Lime Punch that'll keep you cool on even the hottest summer nights. Get the recipe on The Food Charlatan. *Priced from Jet.com because FreshDirect doesn't carry this item. 6. No-Fail Fresca Sangria that comes together so quickly you'll want to make it every weekend. There's wiggle room in the budget that you could use either to buy a third bottle of cheap wine or to upgrade your two bottles of wine. You'll use 3 cans of Fresca per bottle of wine. Get the recipe from Eddie Ross. 7. Blackberry Whiskey Lemonade, great for a cook-at-home date night on a budget. Get the recipe from Life as a Strawberry. 8. Whiskey Sour Party Punch that might just be the answer to the brunch you offered to host next week. 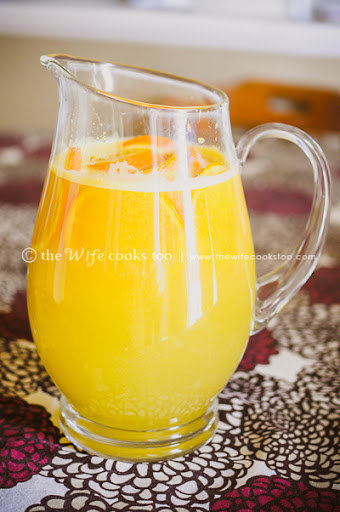 To have enough for a second batch, buy a larger bottle of orange juice and two extra lemons. Get the recipe on Tastefully Eclectic. 9. Fresh Watermelon Mojitos, for the evening your in-laws are coming over and you need something ~impressive~. Get the recipe on Cook Crave Inspire. 10. Two-Ingredient Champagne Punch that'll be the hit of your wedding shower, or your celebrating-being-single night with your best single friend. Spend a little more on an extra bottle of cava and you can make two batches! 11. Bourbon & Sweet Peach Tea Punch that's perfect to sip whenever you're doing anything that's even remotely similar to sitting on a porch. Get the recipe from Rachael Ray Magazine. 12. White Wine and Lemonade Punch that'll convince your book club you're a drink genius. Get the recipe on Crafty 'n' Delish With Sara. 13. Summer Berry Sangria that you can quickly throw together on the everyone's-at-your-house-to-watch-the-game days. Get the recipe on Cooking With Curls. 14. Three-Ingredient Margaritas that are cheap enough that you could host Margarita Mondays all the way into September. Get the recipe on The Wife Cooks Too.